Better pick another name, Willy. 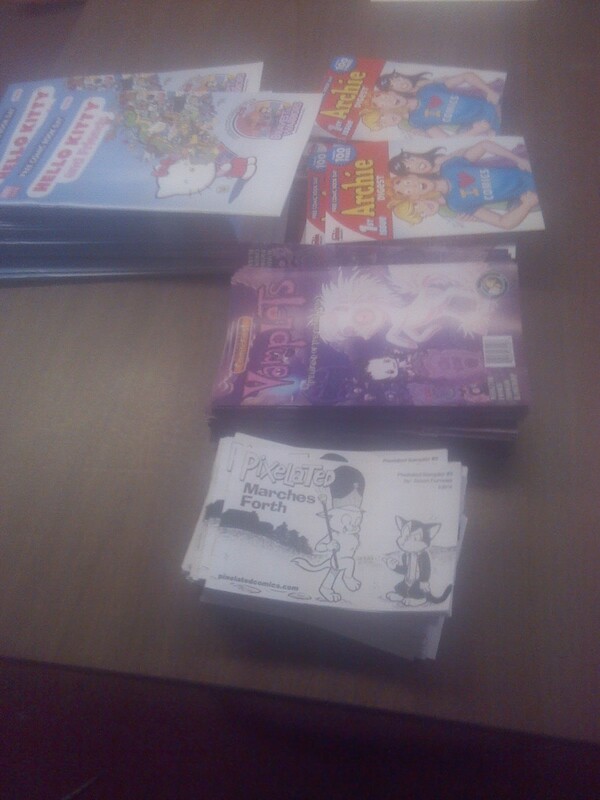 It’s Free Comic Book Day – so go snag a copy of my FCBD offering Right Now! 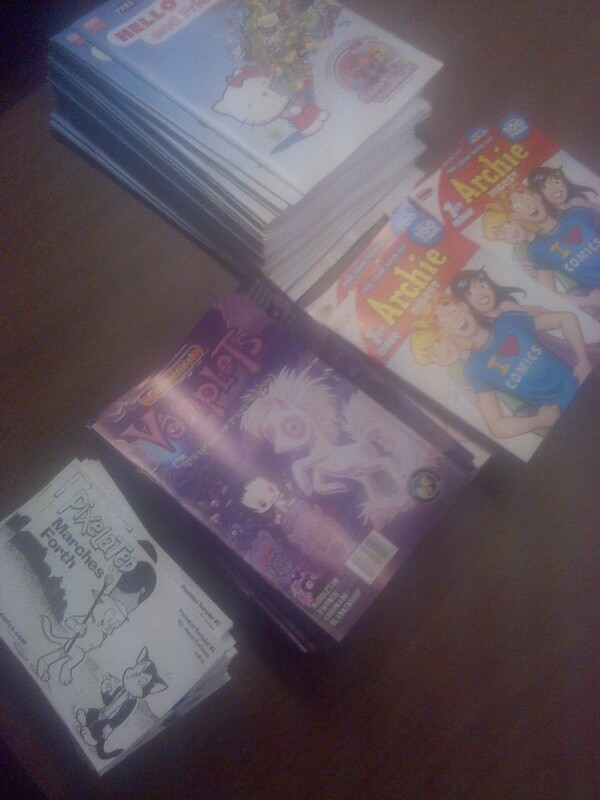 Get it at Acme Comics in Peoria, IL or order it online at my online store. It’s true! 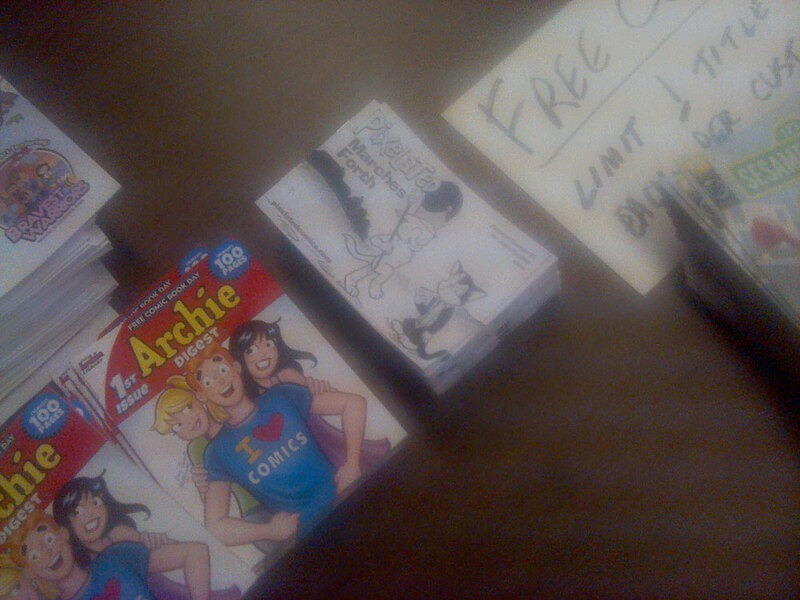 I have blurry photographic evidence that my comic is actually there, sitting near an “Archie” minicomic towards the front of the store. Relive the distant time of March 2014 with the cast of Pixelated! Mark Mallard celebrates a friend’s birthday before returning to his home up north, only to find the weather a bit chilly for his liking. Also, bad “March” puns, indecisive cats, political arguments, Trinidad Jame$ jokes and more! What’re you doing still reading this post? Go get one right now! Hey, everyone – in case you haven’t noticed, the Pixelated website switched servers recently. So if you subscribe to the RSS feed, you need to resubscribe to get any further updates. If you start seeing new Pixelated comics soon, you know you’ve done it right! Also, did you know this year is Pixelated’s 15th Anniversary? Yep, I started this thing back on August 10, 1998. So I thought now would be a good time to finish up this story about Birthdays.